who died August 26th 1914. Aged 23 years. 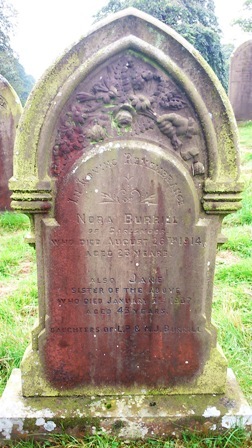 Also Jane, sister of the above who died January 3rd 1937. Aged 43 years. Daughters of L’d & M. J. Burrill.